Speaking Yesterday at Government College, Ughelli, on Attaining Academic Excellence in continuation of the SOS4 Campaign. We are having a problem in Ughelli and environs: students are no longer interested in schooling or reading their books. Even if you arrange extra lessons for them, they either come late or they will not attend. A lot of students who are to sit for examinations do not read with the passion you expect from them. Parents, on the other hand, prefer to register their children in “miracle” centers where their children can partake in exam malpractice. They are not ready to buy books for their children/wards but are ready to pay bribes for their children to cheat in examinations. The resultant effect is that most university graduates are not employable because they lack basic understanding of academic issues. Chemistry graduates cannot explain a simple thing like Gay Lussac’s Law of Gaseous Volumes or Electrolysis. I chose the subject of Academic Excellence because I am an old boy of the prestigious Government College, Ughelli, and the President of Salimo Wits Foundation, Danny Ekoko is also an old boy. Our school was known for academic excellence, but recently, because of a combination of factors, the legacy is being eroded. This is happening even though Our Old Boys Association, the government, and the recent principal that retired put in facilities to make life comfortable and conducive for learning. Know why you are in school. You are there to study, that’s why you are called a student. Be punctual in all your activities. Wake up early, dress your bed, do your chores, take your breakfast, go to the assembly, and proceed to your class. I noticed that, just like most schools in our environs, children stroll to school. Pay attention in class. I did that even at age 56 when I went to do a master’s degree. Do your assignments and ensure you observe your siesta; it helps you to stay alert at night. Try as much as possible to read through all you were taught every day. Make sure you make summary notes as you read in another notebook. They become handy during revisions. Try as much as you can to answer the questions at the end of each chapter. You will find out that you can’t answer some. Go back and read through again and take special note of those areas. They usually remain in your minds for ever; better still, it leads to a deeper understanding. Avoid cultism, drugs, smoking, alcohol, and females. Avoid vagrancy. Government College Ughelli is very big; there are enough places to play truancy. There is a time for everything; keep school rules. Frequent punishments for offenses will distract you from your academics. There is a time for everything. This is not a Bible School. You will preach better with sound education because this is an information era. Don’t get discouraged. I read Economics on my own. I read Geography on my own. We had no teachers close to our final examinations. Afe Babalola read from home and he became a senior advocate of Nigeria, and he built one of the best Universities in Nigeria. I told myself I would make the best result in my master’s degree class at 56 years. I did—I had 10 A’s, 7 B’s and 1 C. Everything is created twice—first in the mind, and then in the physical. As my Geography Teacher in Form 3 at GCU said, “Valuable as knowledge is, the power to attain it independently is more valuable” Mr. Bamuza. If you take the opportunities to learn casually, you will end up a casualty. My special thanks go to Salimo Wits Foundation, my partners, and members of the SOS4 volunteer force. 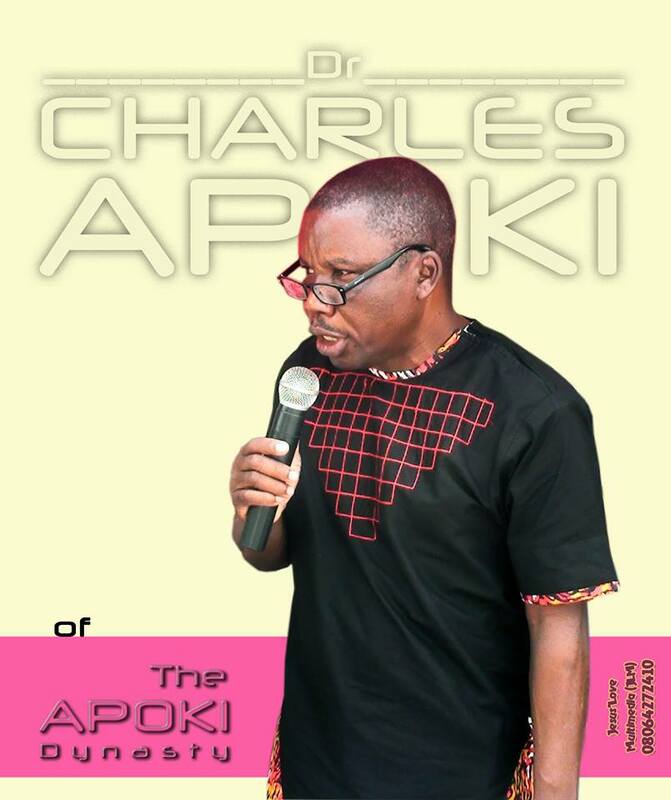 Hello Dr Apoki, I have been really blessed by your blog. I would like to be a member of the SOS4 volunteer force. I’m 17, I don’t know if I’m too young. I want to be a part sir. God bless you sir. That’s ok . You are not too young to volunteer. God bless you. Greetings Dr Charles, I am glad to doubtlessly state here, that I am one of the African seeds that you have been subconsciously tending (inspiring and motivating), since June 2013. Please, Father, I want to be part of this Life enhancing group of yours (SOS4 volunteer force). Granted. Where are you based. It was a sincere privilege to be part of the train that was present with Dr. Charles Apoki at Government College Ughelli. Thanks my dear brother, your presence was a great stimulant. Am glad you came. God’s blessings as usual sir, you have been abdicating for a better future for the teens and youth over the time. The future is in our YOUTHS. Wise people invest in the future. The YOUTHS are dear to my heart.